Boies Schiller Flexner partner Karen Dunn led a team in scoring a win worth billions to Apple—a key battle in a larger fight against Qualcomm. Karen Dunn, partner with Boies Schiller Flexner in Washington, D.C., on Wednesday, February 6, 2019. 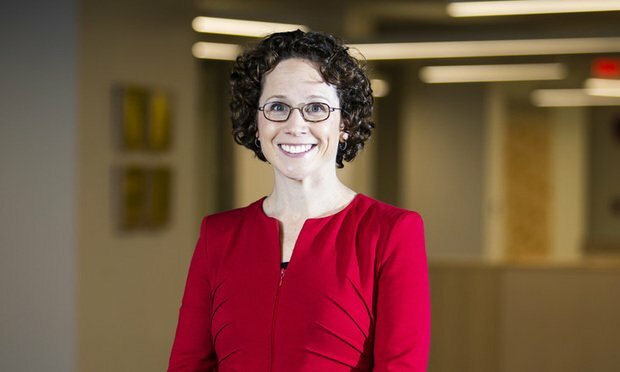 Our Litigator of the Week is Boies Schiller Flexner partner Karen Dunn, who led a team in scoring a win worth billions to Apple. It’s one battle in a larger war between the tech giant and Qualcomm—the two companies will face off at trial in San Diego next month—but it’s got major implications.